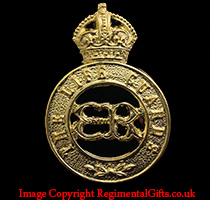 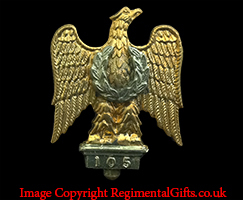 Blazer badges, bow ties, cap badges, cuff links, lapel pins, tie bars, ties and wall shields for many of the British Army regiments. 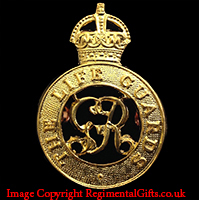 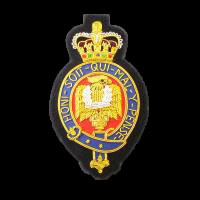 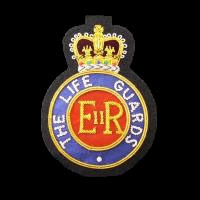 Superior quality padded The Life Guards Regimental Blazer Badge handmade in gold bullion wire and silk. 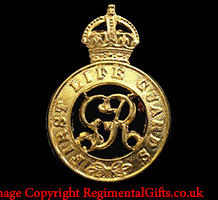 Size approx 4.25"" (11cm) at its widest point. 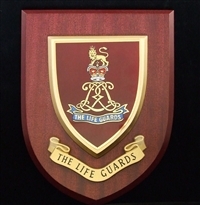 These superior quality The Life Guards cuff links measure approx 21mm (approx 3/4 of an inch).All cuff links come in a smart navy blue and gold leatherette gift box, size 85mm x 30mm x 65mm (approx 3 1/3 x 1 1/5 x 2 1/2 inches). 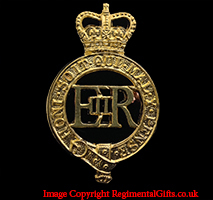 Superior quality padded The Blues And Royals Regimental Blazer Badge handmade in gold bullion wire and silk. Size approx 4.25"" (11cm) at its widest point. 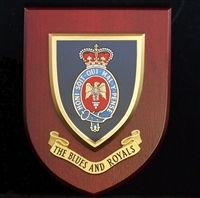 These superior quality The Blues And Royals cuff links measure approx 21mm (approx 3/4 of an inch).All cuff links come in a smart navy blue and gold leatherette gift box, size 85mm x 30mm x 65mm (approx 3 1/3 x 1 1/5 x 2 1/2 inches). 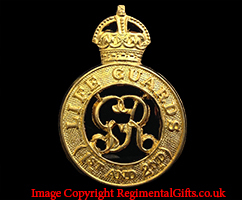 These superior quality Royal Horse Guards (The Blues) cuff links measure approx 21mm (approx 3/4 of an inch).All cuff links come in a smart navy blue and gold leatherette gift box, size 85mm x 30mm x 65mm (approx 3 1/3 x 1 1/5 x 2 1/2 inches). 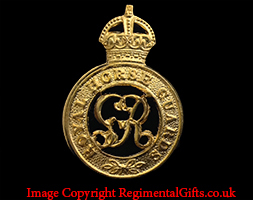 These superior quality The Royal Dragoons (1st Dragoons) cuff links measure approx 21mm (approx 3/4 of an inch).All cuff links come in a smart navy blue and gold leatherette gift box, size 85mm x 30mm x 65mm (approx 3 1/3 x 1 1/5 x 2 1/2 inches).